Cybele Zhang joined the Oracle writing staff in 2015. 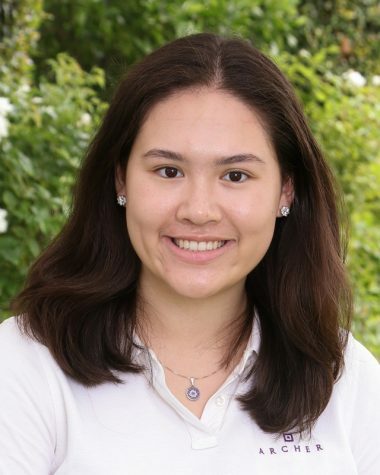 She was promoted to Sports Editor as a sophomore and to Editor-in-Chief as a senior. Over the summer of 2016, she interned at the Asian Journal, an international Filipino newspaper. She has been part of Archer’s Dance Company since 2012, where she is the current Community Outreach/Social Media Captain. Zhang is a Co-Founder of the Asian American and Pacific Islander Culture Club and leads Archer chapters of the Junior Classical League and Feed2Suceed Fund. In her free time, she enjoys playing volleyball and watching sports.